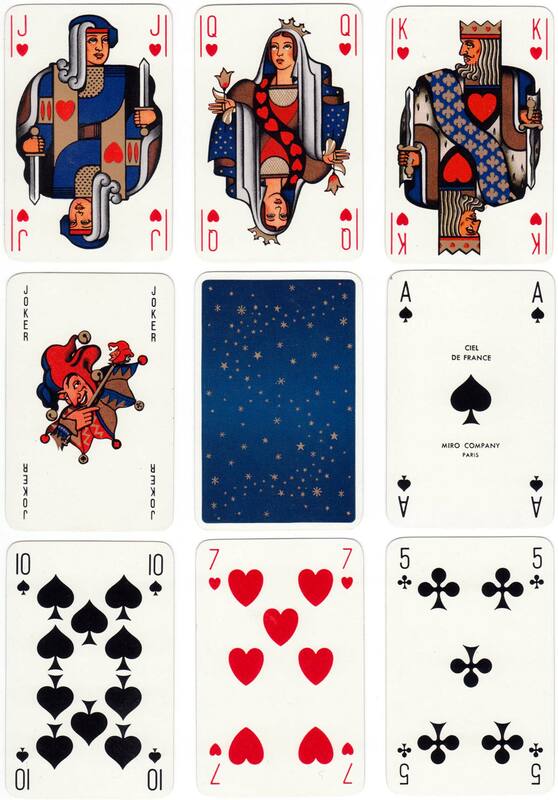 ‘Ciel de France’ luxury playing cards published by Miro Company (Paris) featuring designs by Jacques Branger, c.1950. The backs show the night sky with a navy blue background and gold stars. Above: ‘Ciel de France’ published by Miro Company (Paris) featuring designs by Jacques Branger, c.1950. 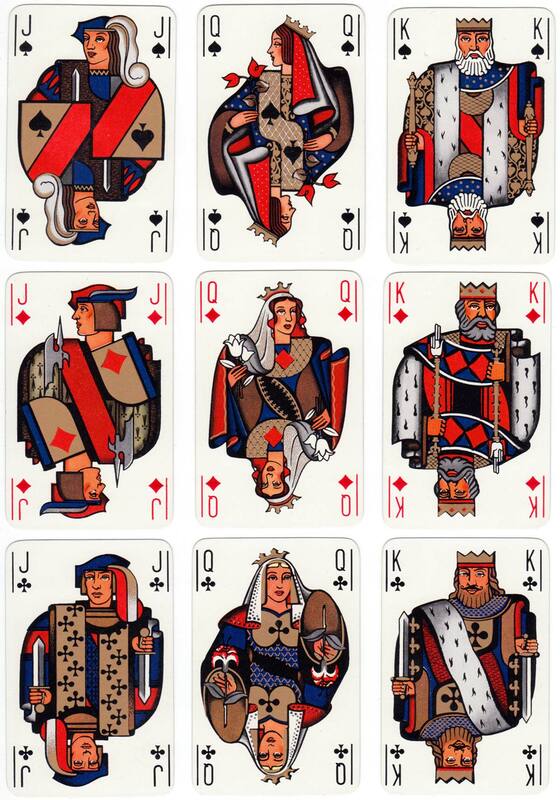 Various editions with different boxes and back designs have been published over the years. This edition manufactured by Draeger Frères. Gilt corners. Images courtesy Rex Pitts.